The old city of Chiang Mai has a cute little park tucked into the Southwest Corner. 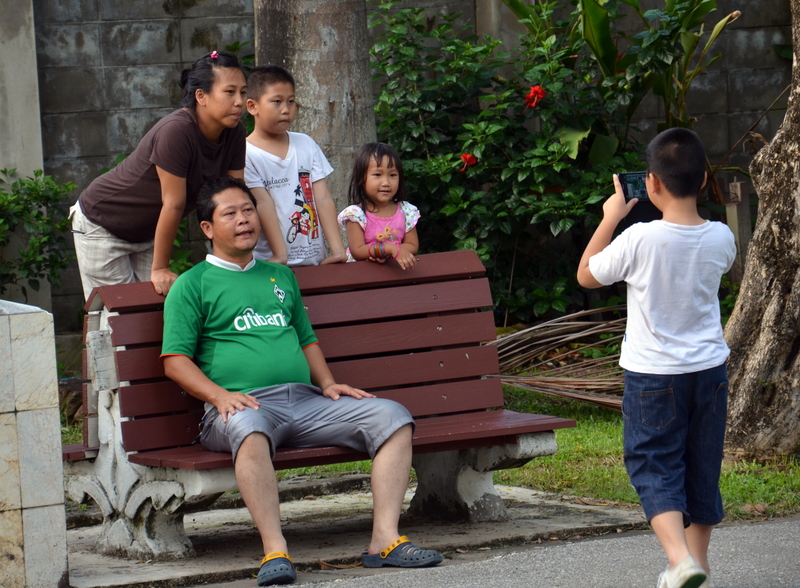 On weekends, Thai families and couples flock to feed the fish, ignore the pigeons, and take pictures of each other. I found it fun to walk around taking pictures of people who were taking pictures of each other.